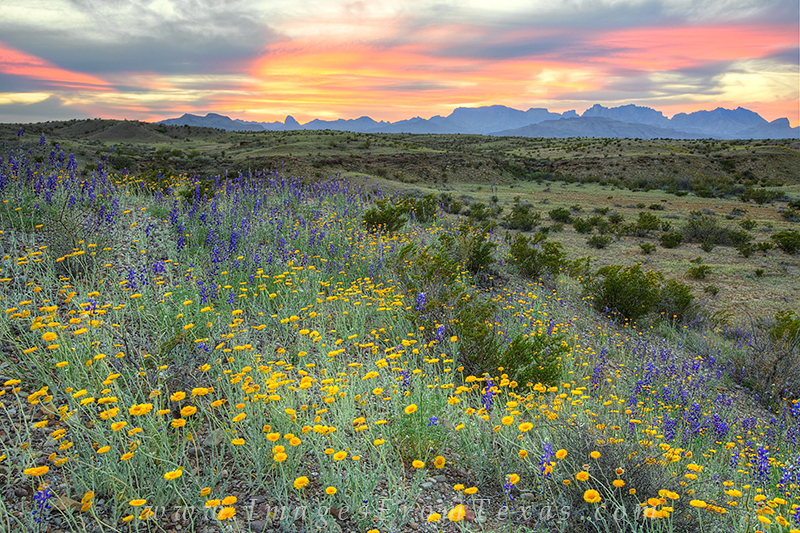 Sunset over Big Bend National Park, especially in the spring, can be an amazing time and place to experience the Texas landscape. While out chasing bluebonnets and other wildflowers on East River Road one evening, I was treated to this light show. As a bonus, I never saw another person the entire evening. Photo © copyright by Rob Greebon.